Jean Karaty, who worked at Fleischer Studios after they moved to Miami, died on 27 November 2014 at the age of 97. Jean Karaty was born Jean Shehan in Dublin, Georgia on 22 February 1917. It was in the Twenties that her family moved to Miami, Florida. It was in 1938, after Flesicher Studios had moved from New York City to Miami, that Jean Karaty went to work for the animation studio. It was at her mother's dress shop in Miami that a Fleischer employee noticed Mrs. Karaty's drawings of animals, cartoon characters, and animals, and suggested that she visit the studio. Mrs. Karaty started work at Fleischer Studios as an opaquer, an artist who colours in the individuals cels of an animated film. While at Fleischer Studios she worked on both "Popeye" and "Betty Boop" shorts. When Fleischer Studios transitioned their "Popeye" shorts from black and white to colour, Jean Karaty was one of their few colourists. Unfortunately Fleischer Studios did not last. The studio increasingly found itself in debt to its distributor, Paramount. Worse yet, By 1940 Max and Dave Fleischer had stopped speaking to each other due to both personal and professional disagreements. The failure of the studio's second feature, Mr. Bug Goes to Town, would ultimately lead to Paramount forcing Max and Dave Fleischer to resign as the heads of the studio. Paramount then re-formed Fleischer Studios to create a new animation company, Famous Studios. Paramount also moved the studio's operations back to New York. As one of Fleischer Studios' best employees, Paramount executives offered Jean Karaty a job with Famous Studios. This would have meant she would have to move to New York City. Unfortunately, her parents objected to her moving to New York City and as a result she did not take the job with Famous Studios. It was many years later that the Fleischer Brothers' old rival, Walt Disney, offered Jean Karaty an offer of a job in Orlando, Florida As Mrs. Karaty's husband Michael owned a Whiteway Service Station in downtown Miami that had been there for years and neither of them wanted to move, she declined Mr. Disney's offer. Jean Karaty was not only one of the last living ties to the Golden Age of Animation, but also one of the last living artists who had worked for the legendary Fleischer Studios. Joanna Dunham, the actress who appeared frequently on television and appeared in the film The Greatest Story Ever Told (1965), died on 25 November 2014 at the age of 78. Joanna Dunham was born on 6 May 1936 in Luton, Bedfordshire. At London University she appeared in a production of The Dark of the Moon opposite Tom Courtenay. Her performance led to a scholarship at the Royal Academy of Dramatic Art in 1956. Among those attending RADA the same time as Miss Dunham were Susannah York and Brian Epstein. She made her professional debut on stage at the Liverpool Playhouse in a production of The Deserters. She made her television debut the same year on an edition of BBC Sunday-Night Theatre. In the late Fifties she guest starred on such shows as William Tell, The Invisible Man, Private Investigator, Inside Story, Armchair Mystery Theatre, and ITV Television Playhouse. She made her debut on stage in London in a production of Visit to a Small Planet. In 1961 Joanna Dunham made her film debut in The Breaking Point. She appeared in the film Dangerous Afternoon (1961) before being cast as Mary Magdalene in The Greatest Story Ever Told (1965). Despite her high profile role in The Greatest Story Ever Told, Miss Dunham only made one more movie in the Sixties: A Day at the Beach in 1970. She appeared frequently on television in the Sixties, on such shows as Danger Man, Somerset Maugham Hour, First Night, The Third Man, ITV Play of the Week, The Wednesday Play, Sanctuary, and ITV Saturday Night Theatre. In the Seventies Joanna Dunham had regular roles in the TV programmes The Passenger, Van der Valk, and Love Among the Artists. She appeared on such shows as Jason King, The Adventurer, Armchair Theatre, Dial M for Murder, Play for Today, Space: 1999, and ITV Playhouse. She appeared in the horror classic The House That Dripped Blood (1971). Ian McLagan, who played keyboards for Small Faces and later The Faces, died on 3 December 2014 at age 69. The cause was complications from a stroke. Ian McLagan was born in Hounslow, Middlesex on 12 May 1945. It was his grandmother in Ireland who, as an accomplished accordion player, drew him towards music. Young Ian McLagan was only ten years old when he first encountered rock 'n' roll in the form of "Rock Around the Clock" by Bill Haley and His Comets. He learned guitar and later saxophone, and played in various skiffle groups. Having played guitar in the various skiffle groups, it was his mother who insisted that he study piano. He developed an interest in the organ after hearing Booker T. and the M.G.'s. He was also heavily influenced by Cyril Davies' All Stars. Ian McLagan attended Twickenham Art School, where he formed The Muleskinners with friends there. With The Muleskinners he continued to play guitar. The band saw some success, even touring the United States in support of The Rolling Stones. From The Muleskinners he went onto join the somewhat more jazz oriented Boz People with future King Crimson bassist Boz Burrell. It was while he was with The Boz People that Mr. McLagan switched to keyboards. While The Boz People released four singles and even toured in support of Kenny Lynch, the band saw little commercial success. It was in 1965 that Ian McLagan replaced Jimmy Winston as the keyboardist for Small Faces. Mr. Winston had only played on the first few singles released by the band. Small Faces proved to be fairly successful in the United Kingdom and developed a large following in the United States. At their peak they were second in popularity only to The Who among the Mods and they even rivalled The Rolling Stones at times in over all popularity in the UK. He remained with the band in its initial incarnation, appearing on the albums Small Faces (the 1966 Decca release), Small Faces (known as There Are But Four Small Faces in the U.S., the 1967 Immediate Records release), Ogdens' Nut Gone Flake, and the post-break up collection The Autumn Stone). Mr. McLagan co-wrote several songs while with Small Faces, including "Own Up Time", "Up the Wooden Hills to Bedfordshire", and "Ogdens' Nut Gone Flake". Towards the end of 1968 Steve Marriott left Small Faces, increasingly frustrated with the group being labelled a pop band. The remaining members of Small Faces (Ronnie Lane, Kenny Jones, and Ian McLagan) then formed The Faces in 1970 by recruiting Rod Stewart and Ron Wood (both former members of The Jeff Beck Group). The Faces would have some success, producing hit singles "Stay with Me", "Cindy Incidentally", "Pool Hall Richard", and "You Can Make Me Dance, Sing or Anything". From 1970 to 1973 The Faces recorded four albums: First Step. Long Player, A Nod Is As Good As a Wink... to a Blind Horse; and Ooh La La. With The Faces Mr. McLagan wrote such songs as "Bad 'n' Ruin", "You're So Rude", and "Cindy Incidentally". The Faces broke up in 1975, after which the original Small Faces reunited. Ronnie Lane, who was just beginning to suffer from multiple sclerosis, did not remain with the reunited Small Faces for long. To take his place Ian McLagan, Kenney Jones and Steve Marriott recruited Rick Willis (formerly of Joker's Wild and Roxy Music) to take his place. Small Faces released two more albums, Playmates in 1977 and 78 in the Shade in 1978. Ian McLagan co-wrote several songs, including "Over Too Soon" and "Real Soul". Neither album performed well and Small Faces broke up once again in 1978. 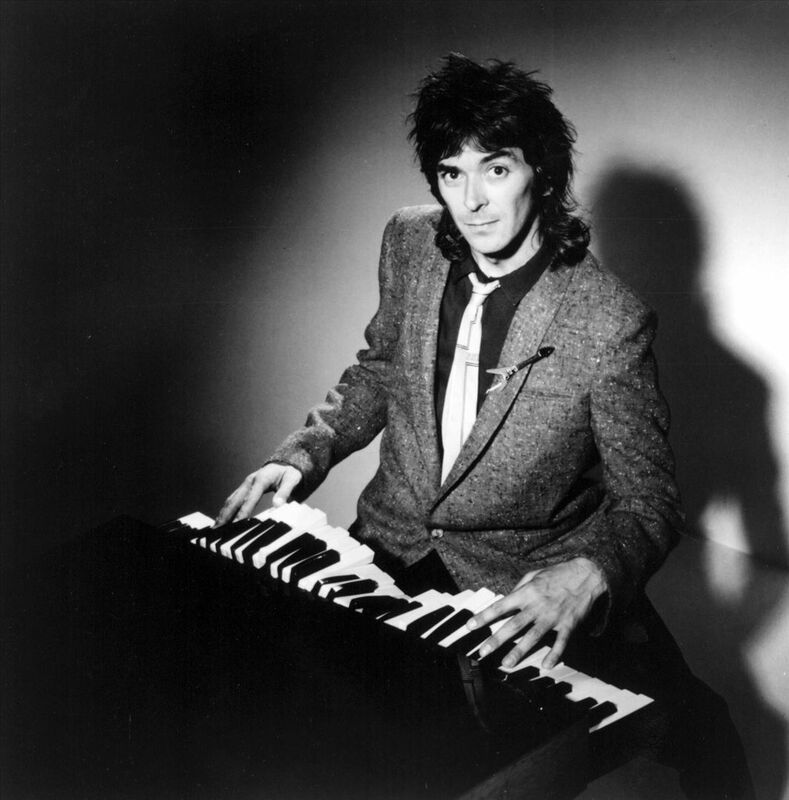 In 1977 Ian McLagan launched his solo career. In 1979 he released his first solo album Troublemaker. It was followed in 1980 by Bump in the Night. Over the years he released several more solo studio albums, including Last Chance to Dance (1985), Best of British (2000), Rise & Shine (2004), Here Comes Trouble (2005), Spiritual Boy (2006), Never Say Never (2008), and United States (2014). Over the years Ian McLagan also played with several different artists. He has played with The Rolling Stones, Ron Wood, Chuck Berry, Bob Dylan, Bruce Springsteen, and many others. Ian McLagan was an extraordinary musician. His evocative keyboard work is much of what made Small Faces one of the greatest British bands of the Sixties. He was also very versatile. It was not simply a case that he could play both organ and piano equally well, but that he was comfortable with a number of different styles. He could play soul, old time rock 'n' roll, jazz, and a number of different genres with ease. Ian McLagan was one of the greatest keyboardists in rock history. There were very few could ever match his talent. Chances are very good that if you are a classic film fan (or even a classic television fan) that you know what "aspect ratio" is. For those of you who don't, the aspect ratio of an image is the relation between its width and height. To put it in simpler terms, it is a way of describing the size of an image on a movie or television screen. While aspect ratio might not seem very important to some, for connoisseurs of classic film and television it can be very important. Quite simply, most classic film and television fans want to see motion pictures and TV series shown in their original aspect ratio. Unfortunately, changes in film and television technology have often resulted in many films being shown on television in such a way that much of what was originally on the big screen was lost on the small screen. The reason for this is that the original standard for television in the United States was an aspect ratio of 4:3. This was very close to the standard of 1.375:1 that the Academy of Motion Picture Arts and Sciences adopted not long after the advent of the Sound Era and used on most motion pictures made in the Thirties and Forties. When a film shot with an aspect ratio of 1.375:1 is adjusted to a television screen made for an aspect ratio of 4:3 very little of what was originally on the big screen is lost. For much of the Fifties, then, watching films on television was not that big of a problem for anyone who wanted to see them as they were originally shown (well, outside of commercial interruptions anyway...). That having been said, it was in the Fifties that there would be developments that would make watching many films on television a very painful experience for anyone who wanted to see them as they were originally shown. Quite simply, the Fifties would see the introduction of several widescreen processes, beginning with Cinerama in 1952. The original Cinerama was much larger than the old standard aspect ratio of 1.375:1--it had an aspect ratio of 2.59:1. Other widescreen processes were also much larger than the old standard. 20th Century Fox's CinemaScope was capable of producing an image with an aspect ratio of 2.66:1, nearly twice the size of the old standard. It was because of these widescreen processes that the dominant aspect ratios of film would change. Whereas during the Golden Age of Film 1.375:1 was the standard aspect ratio for films, today 1.85:1 and 2.39:1 are the two most frequently used aspect ratios. Of course, the widescreen films of the Fifties and Sixties, not to mention nearly all movies made since then, were shot with aspect ratios that are very different from the old television standard of 4:3. Naturally the difference between the aspect ratio of television for much of its history and the widescreen films of the Fifties, Sixties, and beyond created a problem when it came to showing them on film. There was simply little way that, say, a Cinerama film such as How the West was Won, could be made to fit into a television screen in the Sixties and Seventies. The solution to this problem taken by the networks and local television stations was hardly ideal. Quite simply, the image on the screen was severely cropped to fit the television screen. This meant that a good deal of information was lost on the television screen any time such films were shown. Fortunately a solution to this problem was developed in the form of letterboxing. Letterboxing is a means of preserving a film's original aspect ratio by placing black bars above and below the image. The practice received the name "letterboxing" because the result somewhat resembles the slot of a letter box. The first fully letterboxed release was the RCA videodisc of Amarcord in 1984. In the Eighties and much of the Nineties letterboxing was confined to videodisc releases, although a few VHS tapes would be released in letterboxed format as well. Possibly the first VHS release in letterboxed format was Woody Allen's Manhattan (1979). When the film was released on video in 1985, Mr. Allen insisted that it be letterboxed in order to preserve the film's widescreen cinematography. Turner Classic Movies, launched in 1994, was among the first television outlets to embrace letterboxing. The advent of DVDs in the mid to late Nineties would see letterboxing commonly used in video releases. Unfortunately, some television outlets are still resistant to letterboxing. Despite the fact that many of its TV shows are shot in widescreen format and shown letterboxed, HBO still refuses to show feature films letterboxed. Of course, the Nineties would see the advent of widescreen television sets. As widescreen television sets grew in popularity during the Naughts, many television shows started shooting in widescreen formats. Eventually this practice became common enough that the standard aspect ratio for television shifted from 4:3 to 16:9, an aspect ratio much closer to that of current feature films. Unfortunately, while widescreen television sets may be ideal for watching feature films made from the Fifties to today, they are not so ideal for watching television shows made before the Naughts, all of which were shot with an aspect ratio of 4:3. To wit, in some cases some more recent shows shot with a 4:3 aspect ratio have been remastered with a 16:0 aspect ratio. The most recent victim of this practice was The Wire, which HBO remastered for High Definition with using a 16:9 aspect ratio instead of its original 4:3. Fortunately most older shows won't befall the same fate as The Wire. It seems unlikely that Perry Mason or The Monkees will ever be remastered to fit a 16:9 aspect ratio. That doesn't mean watching older shows on a widescreen presents no problem. Left unadjusted a widescreen television set will stretch the images of old TV shows, shot for a 4:3 aspect ratio, to fit a screen with a 16:9 aspect ratio. Fortunately, widescreen television sets do allow one to adjust the aspect ratio of the image on the screen (on Samsung sets it is the P.SIZE button on the remote control). The result is what is known as pillarboxing, in which black bars are placed on either side of the image so it can be viewed in an aspect ratio of 4:3. While I suspect that the average person doesn't particularly care about the aspect ratio in which movies and TV shows are shown, there are those of us who really prefer that the movies and TV shows we watch appear in as close to their original format as possible. For people like us, then, the many changes in the aspect ratio of films and TV shows, not to mention how various TV outlets handle them, can be a source of constant frustration.